Hey Everyone! I hope this post finds you all well and I hope you’ve had a good weekend? I thought for this week’s post id change it up a little and tell you all about my Skin Care Routine 2018. I’ve always loved skin care and makeup, I’m that kind of girl.. I’m not the girl whose obsessed with shoes of clothes. I’m the kind of girl who loves trying out new skin care.. as we all know.. I LOVE a pamper night! Definitely since my recent cold virus (yuck!) I’ve noticed my skin to have changed! My skin type is usually combination. My T-Zone is oily and the other parts are a mixture of dry and normal. But recently my skin was getting dryer and I also noticed some spots appearing. So I thought I’d do my research and find something to help with this! This massive tub has been going for the past month and I’m loving using this as a makeup remover. What I do is get about 1/2tsp amount onto my hands and rub them together, I then apply it to my face using circular motions to remover the makeup from the day. I then use either a muslin cloth/towel or flannel with warm water to remover the excess. And voila your makeup is removed… However my cleansing doesn’t finish there in the evenings. I’m going to talk about my Morning and Night Skin Care Routine. So.. the main products that I’ve fallen back in love with are the products by a company called Avene. It’s a French company who specialise in natural skin especially for people who have sensitive skin. They have ranges to suit all skin types as well, and I’m pretty sure they don’t contain any nasties like parabens etc. I used to use their range when I was going through a breakout of acne a couple of years ago and honestly and can whole heartedly say that it clear my skin up lovely! Now that my skin has turned more dry since the cold whether and getting sick, I’ve changed things up a little. I put about a penny size amount into my hand, then using warm water I partner it up until it forms a foam like consistency and then apply all over my face and neck. For face toner I use the Avene Cleanance range (as I’ve said I have Oily Combination but going through a dry spell at the moment) and this toner is lovely! It’s cooling and nice to be applied. I mainly use this on my T- zone and around my chin/neck using 2 cotton pads. For my eyes, as they’ve been really delicate and dry lately, I’ve been using the Liz Earle Eye Bright and I apply this to 2 cotton pads and just hold them on my eyes for a few seconds and then just wipe around my eyes gently. It’s very cooling and soothing and since I’ve been using this plus something else, it’s really help combat have the dryness and irritation I was experiencing. For my morning serum I use this beauty! Again by Avene the Cleanance range for acne prone skin. Again I mainly apply this to my T-Zone and neck, which is where I suffer with acne sometimes. 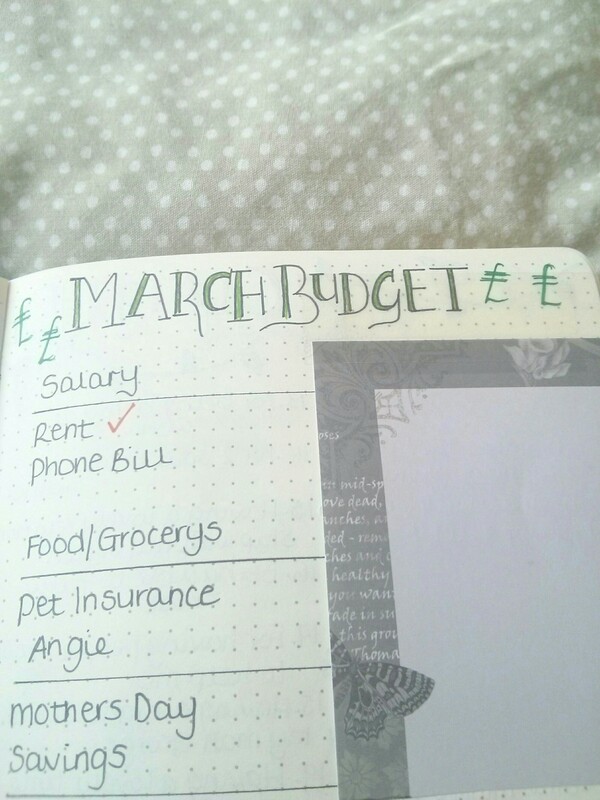 I use a very small amount as it goes a long way! I’m going to say it! I’ve only just started using sun protection within my skin care! I’ve been reading a lot about sun protection and being that my skin tone is quite pale, I should take more care. I got this Sun Protection from Avene and again it’s in the Cleanance range so it won’t and doesn’t make my skin oily so I apply this everywhere, including my neck every morning. Lol can you see a trend yet!? Okay I kind of got the Avene range lol.. but this day cream is lovely.. it feels really hydrating and doesn’t leave my skin too oily. I just use this in the morning and mainly on my cheeks. So.. the cleansing part is still the same, I use the same product as the morning. So this serum from Avene I use mainly on my T-Zone and chin area. 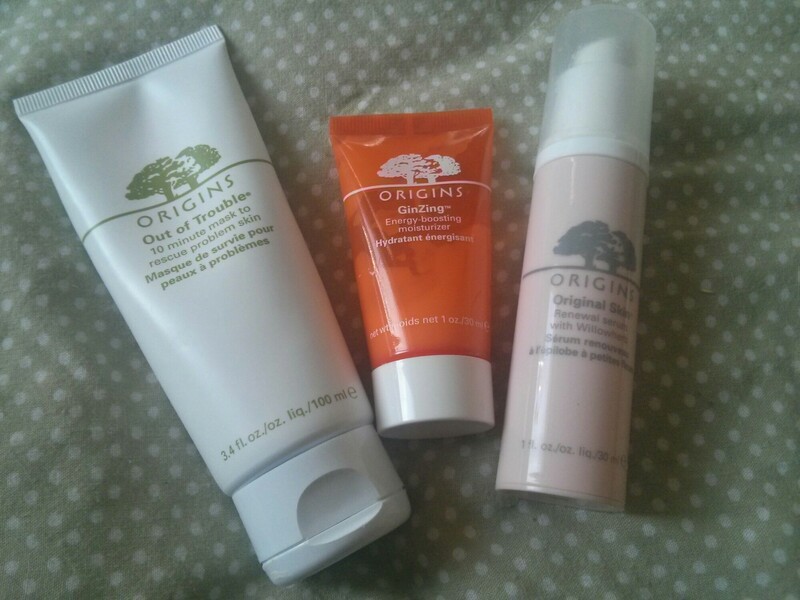 I love these products purely because they don’t irritate my skin. I haven’t noticed anything at the moment but it’s only because I haven’t been using it long enough yet. I then apply this serum mainly on my cheeks. 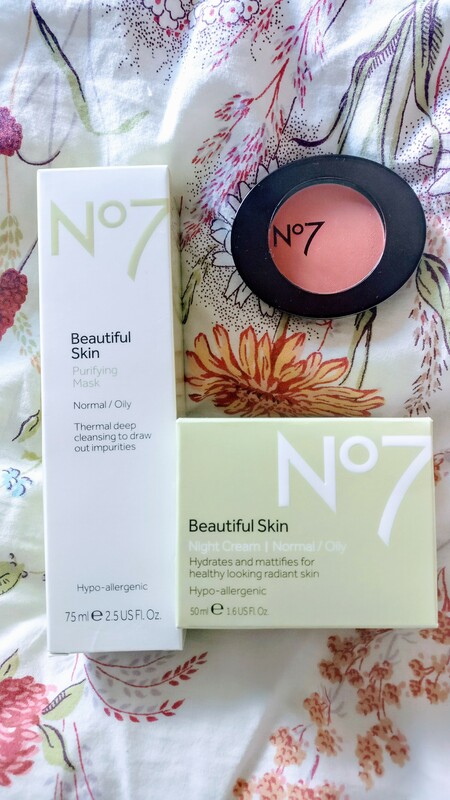 I love No.7 beauty products and used to use them, however some of them made my skin feel a little more oily than the Avene so I’m sticking mainly to that. Now this.. this is something I’ve not tried before and I can say that it’s AMAZING!! I went to work last week with my skin feeling really tight, sore and dry. She told me about the above cream and said it really helped her and omg was she right!?! It’s amazing! And I love it! So that my lovelies is my skin care routine for 2018 at the moment. I hope you all enjoyed the read. I’ve also filmed a YouTube video of this too if you’d like to see my going through my Skincare steps. I hope you’ve all had a wonderful weekend! Sending you lots of love as always. Going Back To Work & Some Great News! Hello Gang! How are you all!? 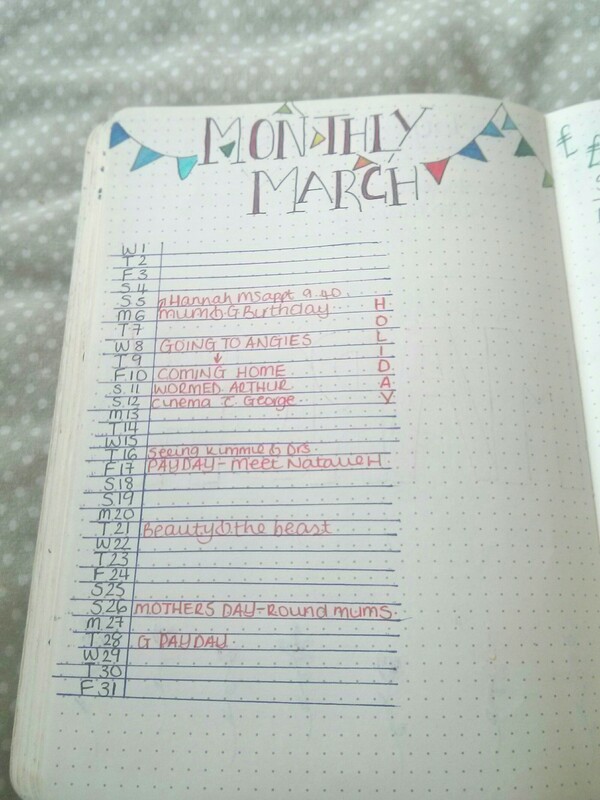 I hope you’ve all had a great second week of January!? Let me know in the comments how you’ve been and we can connect! Ever since New Year’s Eve (No George didn’t propose then lol) I’ve just felt so positive and focused! It’s almost as if a light switch has just been flicked in my head because I don’t think I’ve ever felt like this! I have a new little motto for myself for the year and hopefully years to come and it’s… “Not My Problem!” My whole life virtually I was a people pleaser. I always cared about what others thought not just about me but about themselves. I always wanted to be friends with people and just be nice to everyone. Yes this has had good points throughout my life, however there’s also been a lot of negativity from it too. I found that if someone was having a bad day or in a bad mood, it would drag me down too.. making me feel low or stressed and do you know what.. it wasn’t even MY PROBLEM! 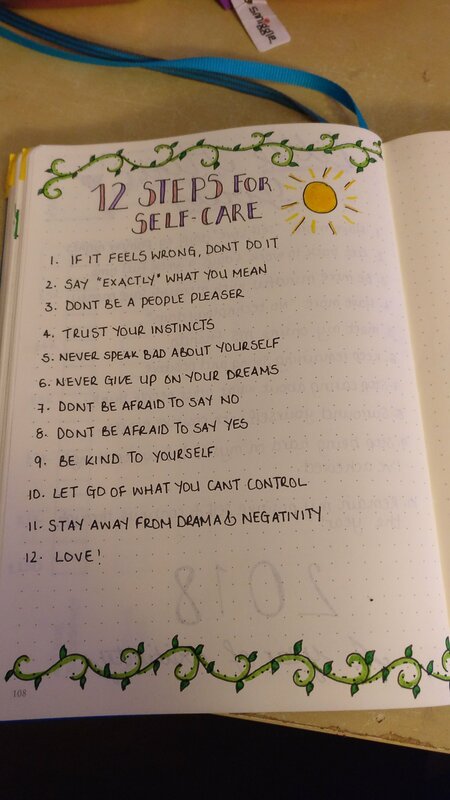 2017 wasn’t the greatest year with 4 reasonably big relapses and having a considerable amount of time off work for each relapse.. but it wasn’t until the end of the year when that light switch flicked and I thought “do you know what.. I’m now going to concentrate on ME” I need to stop allowing myself to get caught up in other people’s dramas or problems and just focus on my own and ever since I have thought this way I have felt so empowered and strong from it! Today I went to the Doctor’s for a review and I was thrilled to tell her that I was ready to go back to work!!! I actually felt so happy and like I’ve said above, empowered and focused to slay it! My Doctor was also really happy for me and she too said in order for my MS symptoms to remain minimal, we needed to control my stress and anxiety levels, which again is why I have my new motto “NOT MY PROBLEM”. I’m going to be going back to work 4 days a week starting at 4 hours a day and slowly increasing those hours over a period of time until I’m doing 4 days a week full time.. my aim is to get back to work full time.. but I don’t plan ahead.. I live for today so each day is unique. I also have another piece of great info! I received a letter from my Neurologist following my recent MRI scan aaaannnddd….. There are NO NEW LESIONS!! 😃😃😃 I’m so so happy with this cause even though my relapses were pretty nasty last year, my neurologist said they haven’t caused any permanent damage which is fantatic! Thank you for reading and I hope you’re all okay. George gets up for work around 6:30am so his alarm go off then, however Arthur normally wakes us up around 6am wanting his breakfast lol! 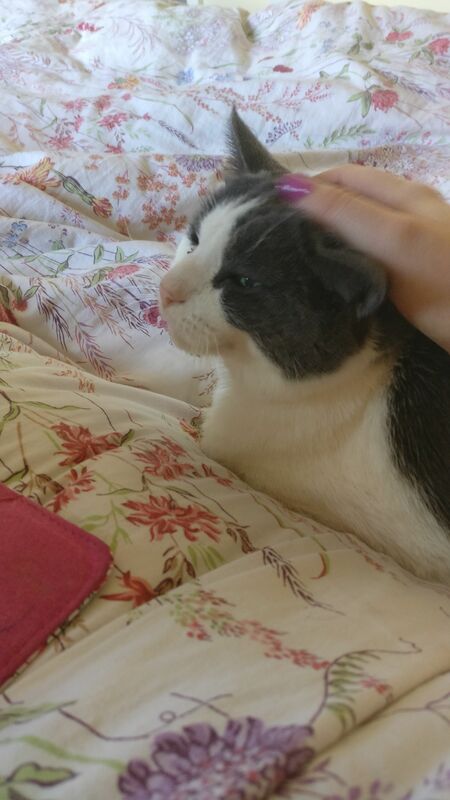 George will go and feed him and get his own breakfast and I just rest for a little longer and wake up slowly – yes I usually look at my phone lol! 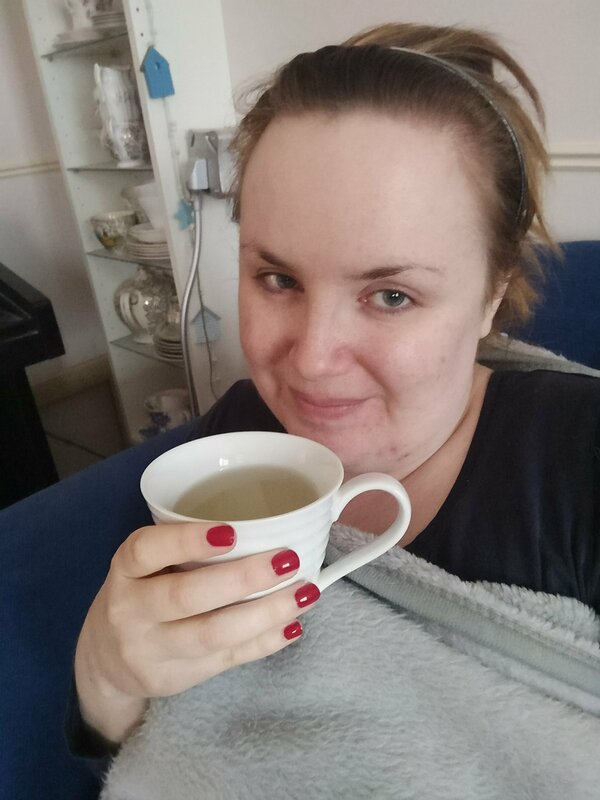 At around 7am I’ll head downstairs to make myself a refreshing herbal tea, recently I’ve been drinking Ginger and Lemon tea and it really helps to wake me up. 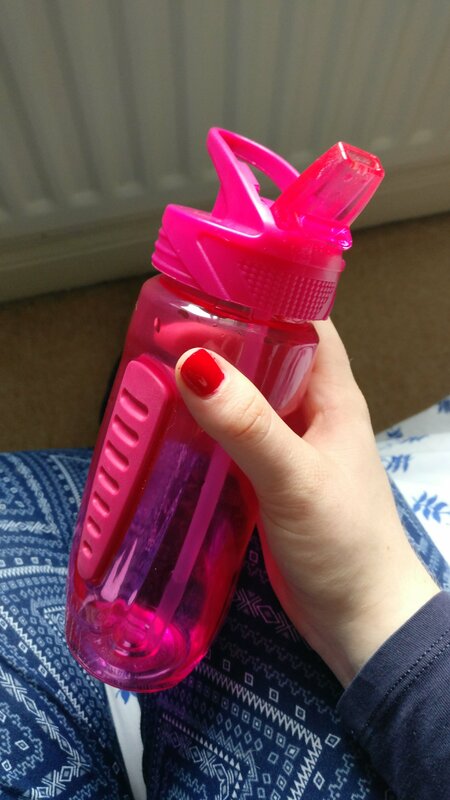 I also fill my bottle with some really cold water from the fridge (I don’t buy bottled water, I just fill up a bottle and put it in the fridge) and then head upstairs ready to wake up properly. That usually brings us to 7:15am and this is when I get all comfy, sit on my bed and do my morning meditation – As you all know I loved ‘Head Space’ to begin my meditation, once I’d completed the free trial I then used and app called ‘Calm’ and you get a 7 day free session too.. 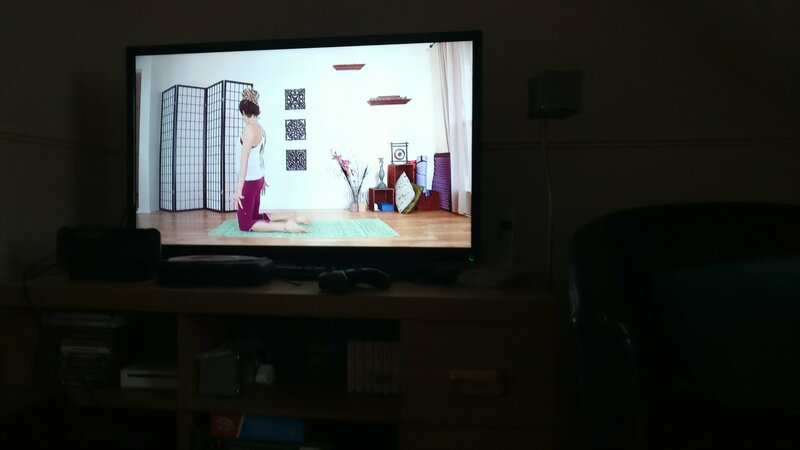 However I completed that also, so I now just look up YouTube videos ‘Guided Morning Meditation’ and it comes up with so many. 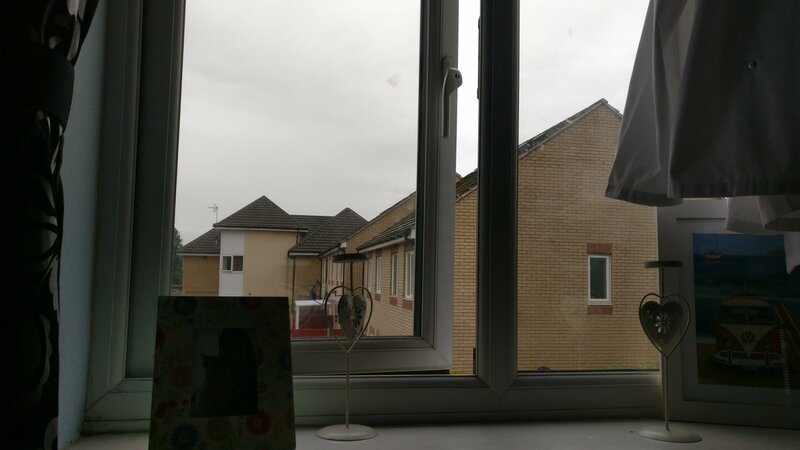 When I meditate I like to have the curtains open and the window open so I can breathe in the fresh air, if it’s a horrible cold day or raining then I switch on my diffuser and use my essential oils as they’re so relaxing. After my meditation around 7:30am I just relax and drink my tea, normally until George has finished in the bathroom. 7:50am I get out of bed and make it so it’s all ready for the evening, I also feel like a made bed just gets you ready for the day also lol.. 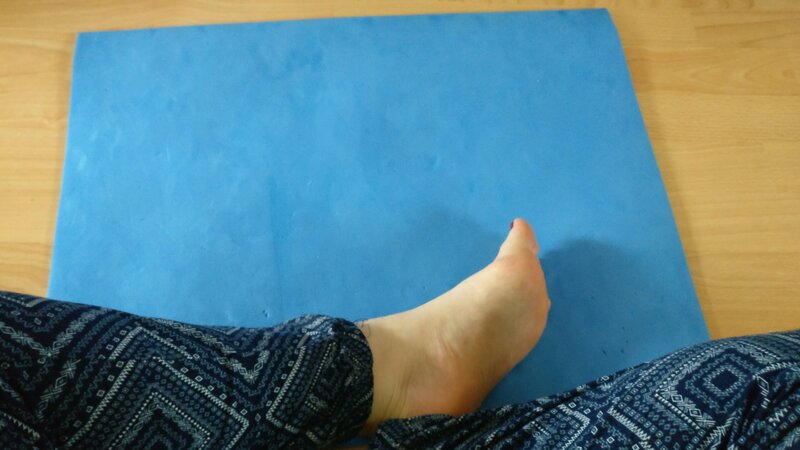 I then get changed into my yoga clothes (just some comfy joggers and a long sleeved t-shirt) and head downstairs to say goodbye to George and do my morning yoga. 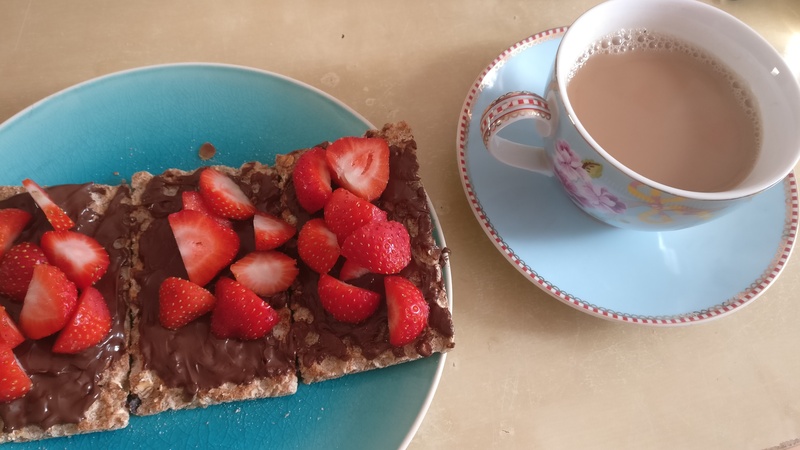 8:00am I do 15 minutes of yoga, I find videos again on YouTube and generally just type in ‘Morning yoga for beginners’ and again there’s loads.. I’ve been loving Madeleine Shaw’s energising yoga routine but here are plenty of amazing ones too. 8:20am I make my breakfast which is always a smoothie that consists of frozen fruit (I have a different sort every day) banana, almond milk, water, ginger, cinnamon, a littler turmeric, coconut sugar and oats – I drink this slowly until about 9:30am and I can say that it keeps me full until around 12pm when I snack on some nuts at work. 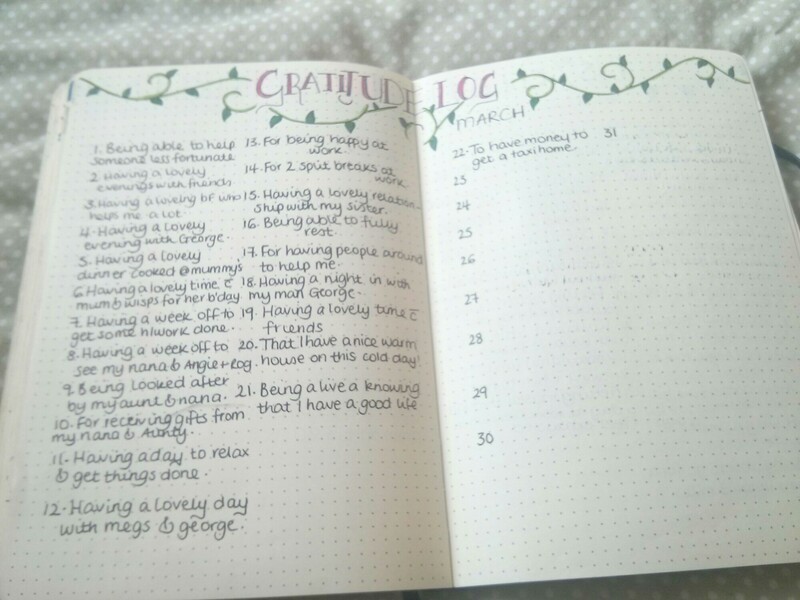 Once my smoothies made and things are put away its around 8:30am and I head back upstairs and relax for about 20 minutes before getting ready, this is when I go through my Bullet Journal writing down my three grateful things, going through my tracker and write down things that I need to do during the day. 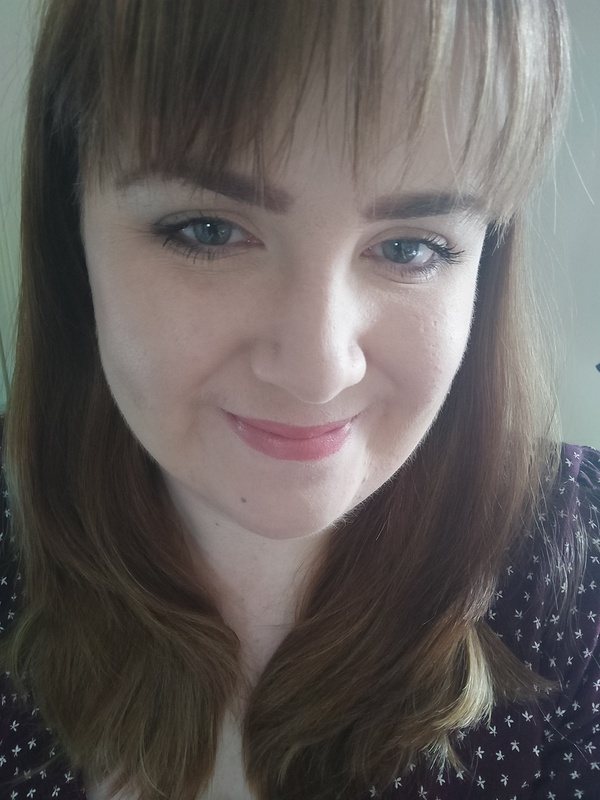 9am is when I get ready for work, I start with my cleansing routine and allow that to absorb into my skin, once that’s done I then move onto makeup and hair – for work I like a simple look, nothing too heavy and that I can do quickly. This takes me to around 9:45am, which is when I’ll head downstairs and just make sure I’m ready to go to work. 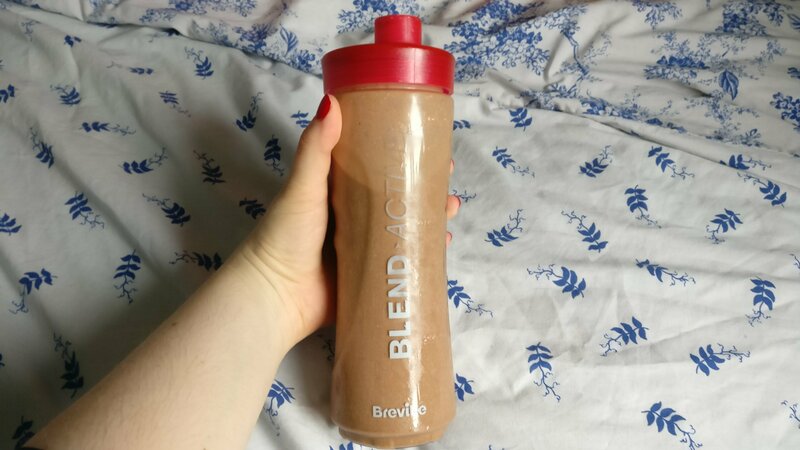 And that is my current morning routine, even though I’m only working 11-2 at the moment, I don’t just stay in bed all morning (I used to but I needed to get into a routine and get used to getting up early) I have found that things are getting a little easier, however some days I still feel exhausted but do you know what… On those days.. I just take things steady and don’t rush things. 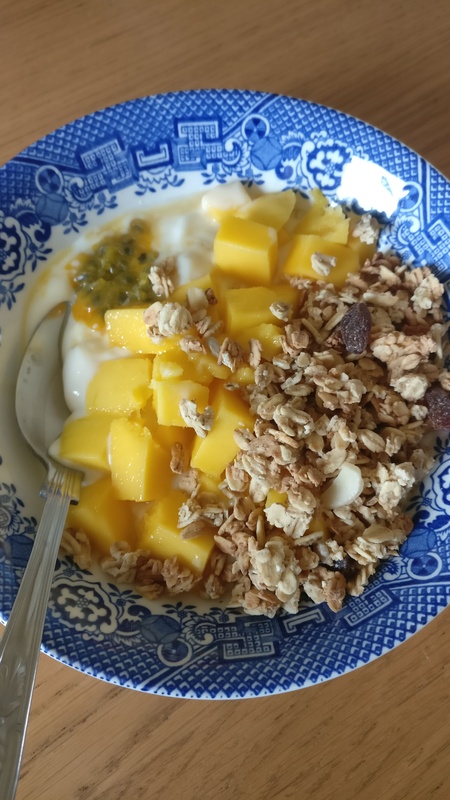 I really hope you’ve enjoyed this read and I hope it’s helped any of you or given any of you some ideas  leave me a comment below of anything you do in the morning as a routine. Hello everyone! I hope you’re all well and having a good day? Let me know what you’re up to. 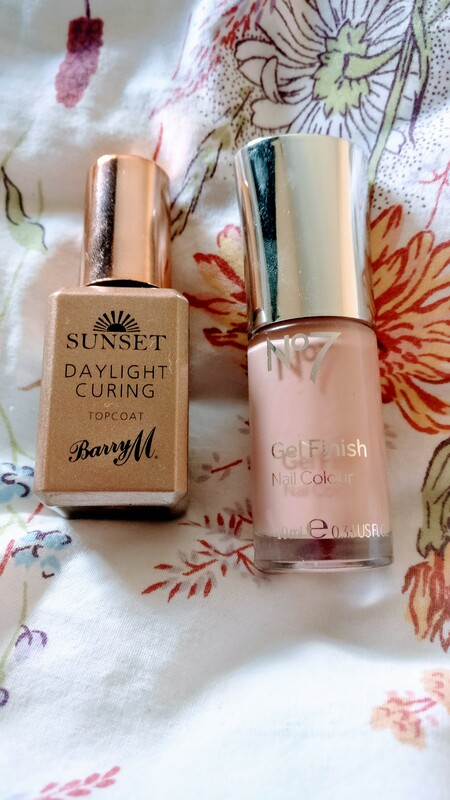 In my recent blog I mentioned that I went out with my mum to a little shopping centre for the first time since my MS relapse and bought myself some treats from Boots. 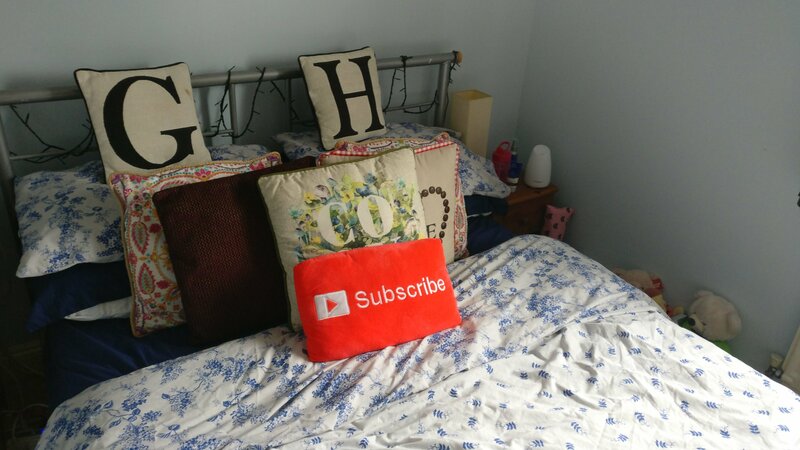 I wanted to write a blog post about this because not only was it a massive achievement for me to do because of my anxiety attacks but also I bought things that have made me really happy.. and wanted to share this happiness with you all. 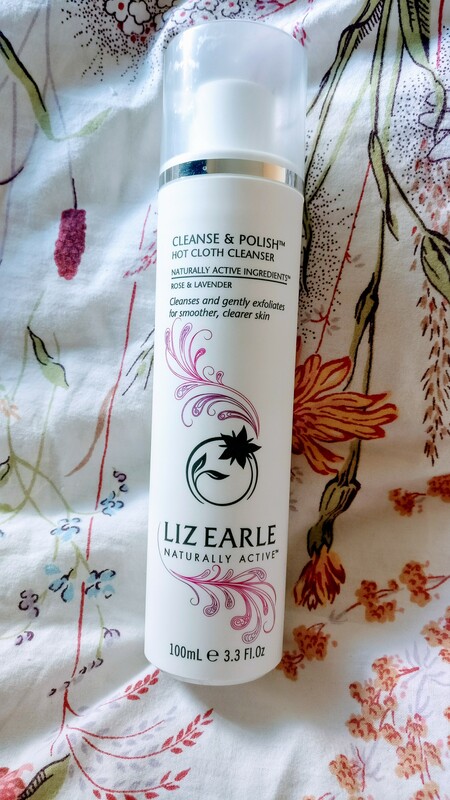 I used to use Liz Earle products a while ago and I have no idea why I stopped.. I’m still LOVING The Body Shop products however there was just a couple of things I wanted to change & needed to replace and my cleaner was one of them! 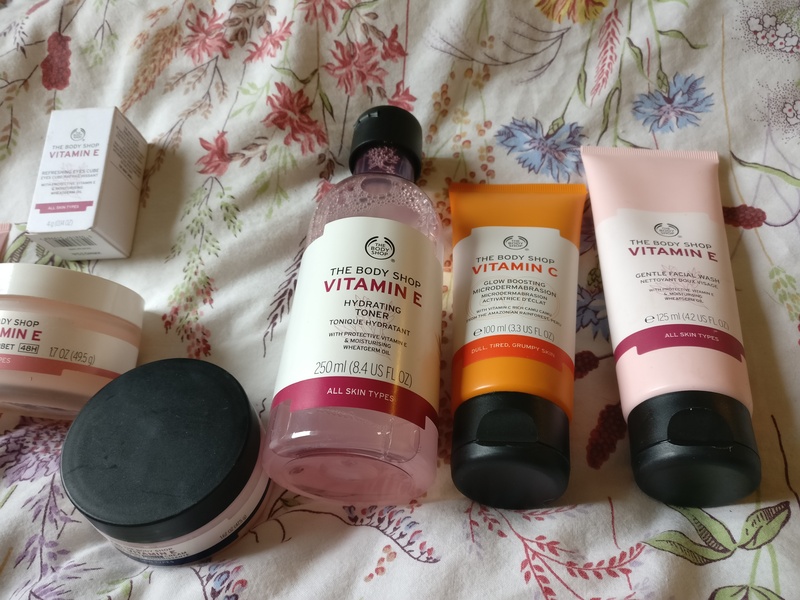 Since hearing that No.7 is cruelty free I’ve also decided to try and couple of their products.. it’s things that needed replacing again.. Im trying not to buy things that I don’t need.. however I’m getting very low on my The Body Shop Vitamin E Night Cream and my Purify face mask. I had a little nosy online and found this products that looked interesting. 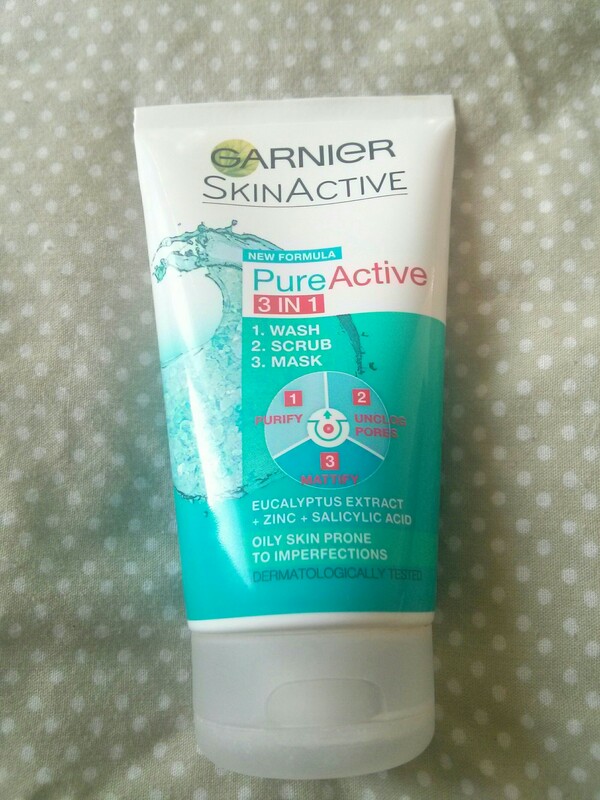 Another product that needed replacing was my Body Shop purifying face mask and this is what I’ve found to replace it… Now I have used this before a while ago and I’m sure I loved it then so I’m looking forward to trying it again. It says it’s a Thermal deep cleansing to draw out impurities.. it also says you massaging into damp skin to work it into your skin then relax for 2 minutes then rinse with warm water… The thing I love most about this is that you only leave it in for 2 minutes cause let’s face it.. I get bored leaving a mask on for 10 minutes and never actually manage to last the whole 10 minutes anyway lol.. so this 2 minute miracle hopefully will be amazing! I LOVE nail varnish in fact as well as colouring pens I also have an obsession with nail varnish lol! No. 7 have some truly beautiful nail colours.. I could literally buy them all.. but I need to be good and buy 1 every so often.. 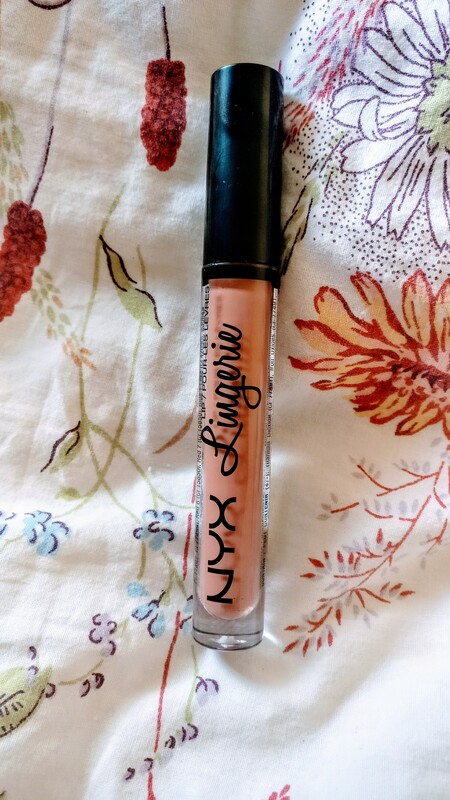 I saw this colour and immediately fell in love with it.. it’s so girly and summery and I LOVED the name ‘Blissful’ so yes… That went straight into my basket… Oops! I’ve had my eye brow kit for absolute ages! 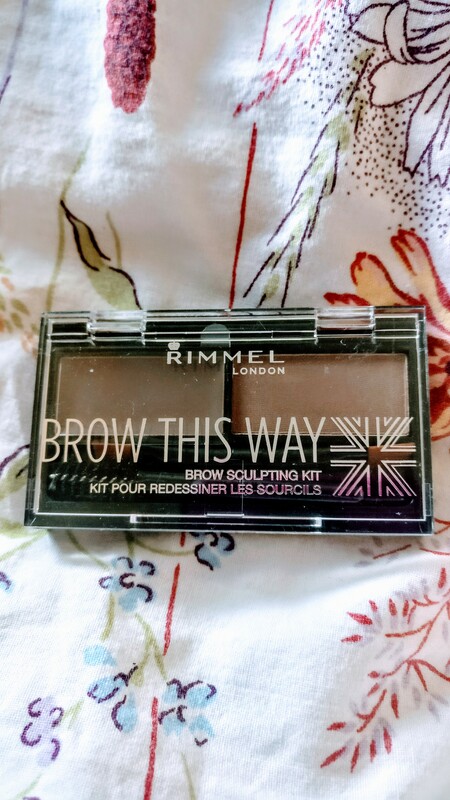 It was the Makeup Revolution Brow kit and although it has been very well loved I have found since my hair has been light and especially if I don’t want to wear much makeup.. the colours are just a little too dark for me… So I picked up this little kit from Rimmel. I love how it’s so compact and easy to pack in your makeup back.. it also comes with a little spooly (can’t spell) and brush which will be perfect for in the go.. although I do like to use my eyebrow brush as it’s larger.. but still perfect little set! Whilst having a little look online at lipsticks I saw this one and really liked the look of it so whilst in Boots I swatched it on the back of my hand and still loved it.. so… You’ve guessed it… In my basket it went! I also tried it on when I was in the car with mum and it looked really night.. felt good too until it dried as it felt a little drying so I’m gonna try and just apply I tiny bit and see if that makes a difference. 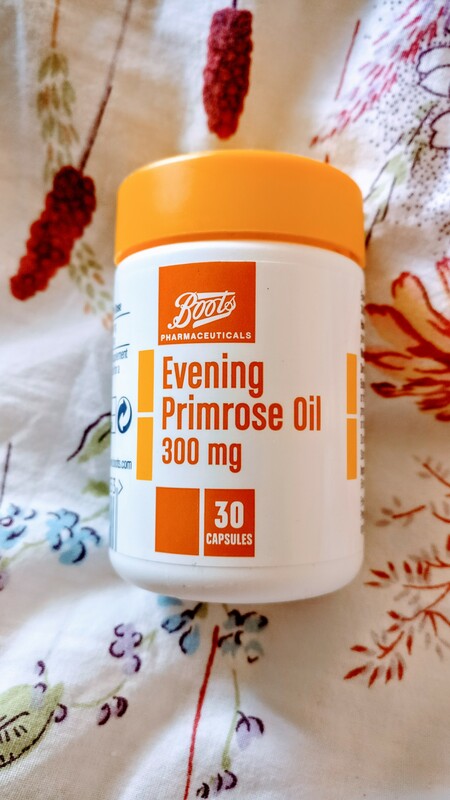 I’ve heard so much about these vitamins.. not only to potentially help with MS but for other reasons too.. Obviously it depends purely in the person as we are all different but it can’t hurt to see if it has any effect with my MS.. 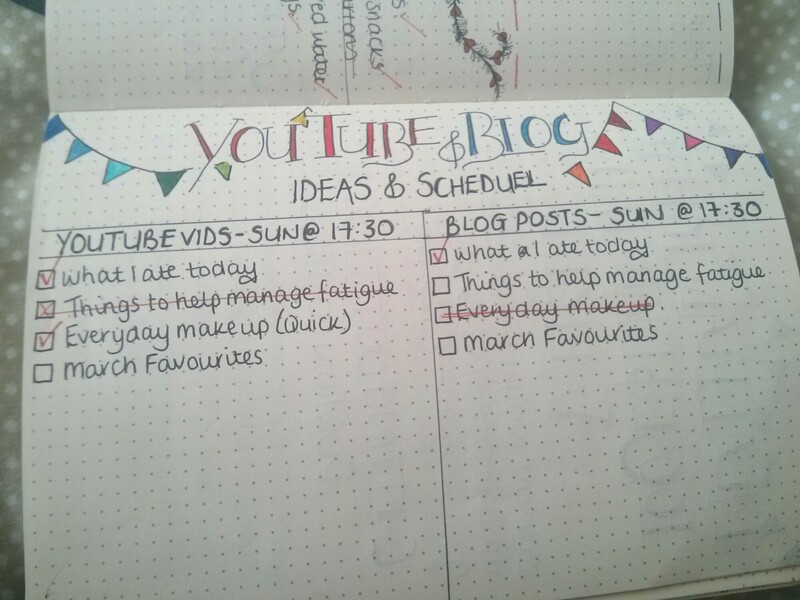 So I mentioned on Twitter recently that I’m not filming any videos at the moment due to going through an MS relapse.. however it’s not going to stop me from writing Blog Posts instead! Since being off with this relapse I’ve been exploring different diets and foods and after a lot of research and thinking I’m going to make the slow transition to Veganism.. this is mainly to see if it helps my health condition.. my Doctor has said that as long as I make sure I get in all of my essential nutrients etc then she doesn’t have a problem with it… However since being off all I’ve wanted is comfort food.. quick and easy! If you’re thinking of changing your diet, please speak with your Doctor first.. 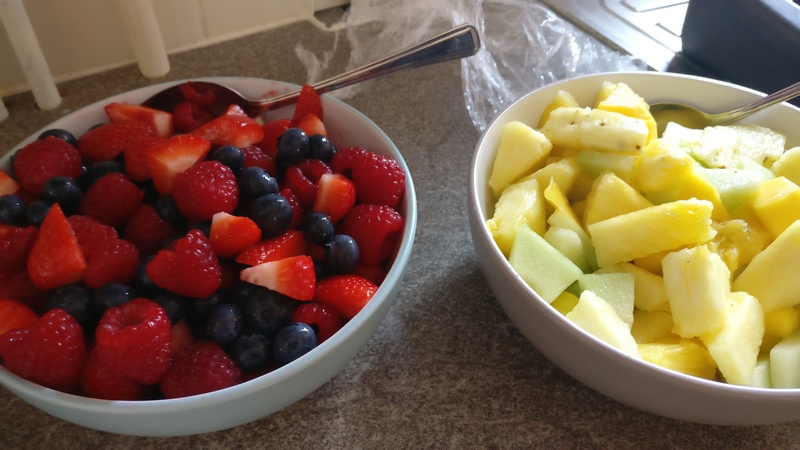 I am NOT a dietician and I have consulted with my Doctor before fully changing. 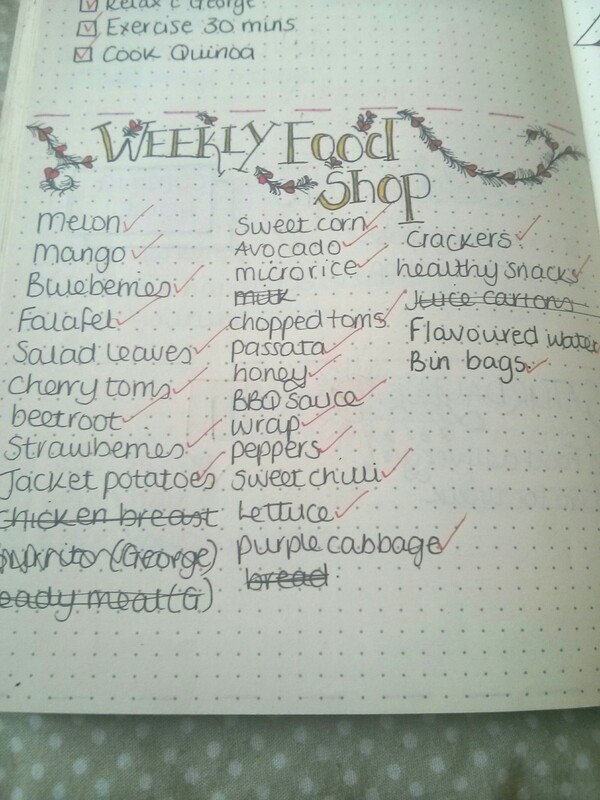 I’m eating what’s left in the fridge and freezer first but making small changes along the way.. 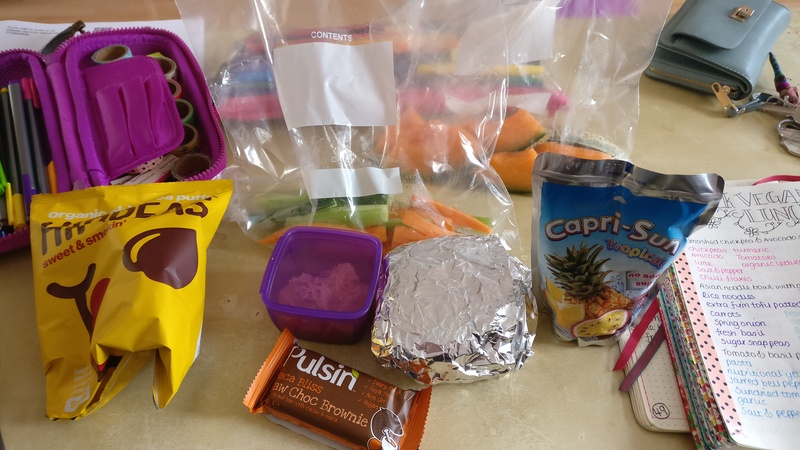 Recently it’s all been about “quick and easy food” I’ve been too exhausted to be preparing meals everyday and sometimes I physically couldn’t make anything for myself! So.. it’s all about bulk cooking!! I got a Body Scrub, Body Butter, a gorgeous contour pallet, an eyeshadow palette, some conditioner and 2 brushes.. when I opened this it made me very happy and I’ve been loving them ever since and the other day I out some makeup on for the first time in 2 weeks! 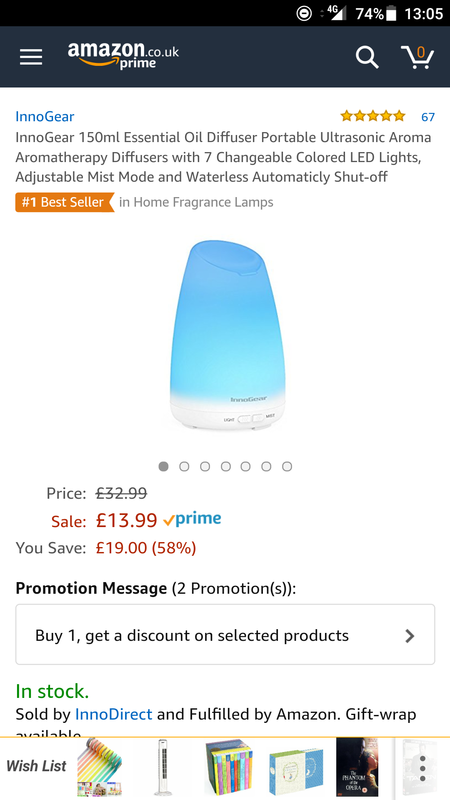 About a week ago I purchased an Aroma Therapy oil diffuser on Amazon it has mood lighting and releases vapers of whatever oil scent you put into it. I have it on every night and it’s so relaxing and helps me to get to sleep.. I also try and meditate with it on too.. I bought the oils separately and just love them! Such great value also! 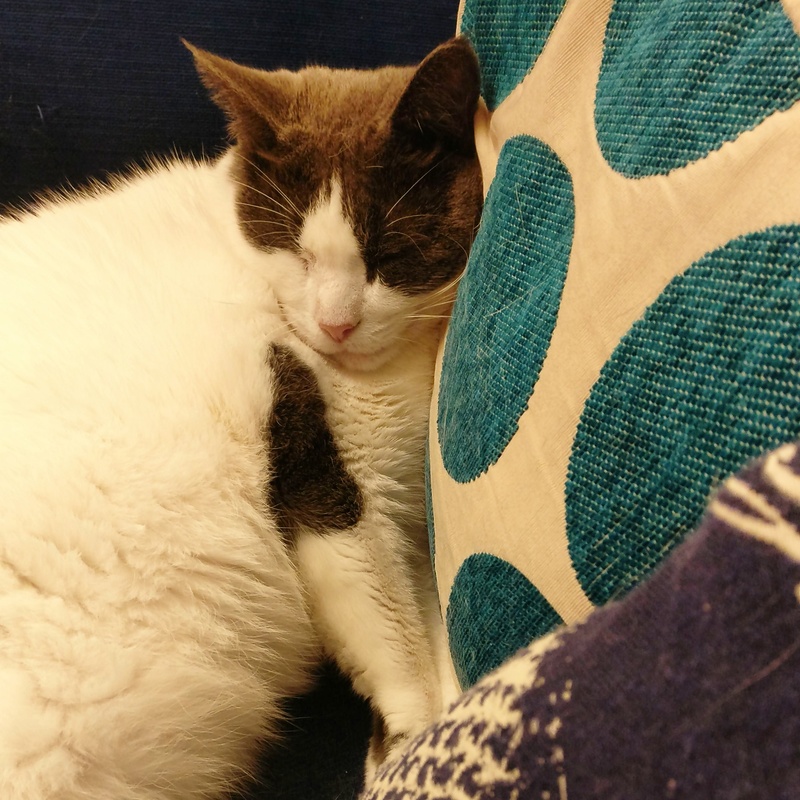 My last favourite thing for this month has to be my cat Arthur!! He’s been just amazing whilst I’ve been off.. and I feel so grateful and lucky to have him in my life.. it definitely takes my mind off how I’m feeling because I’m looking after him too 😊 I think if you have a furry friend.. just give them a massive hug.. I do this to Arthur a lot.. even if he hates it lol! 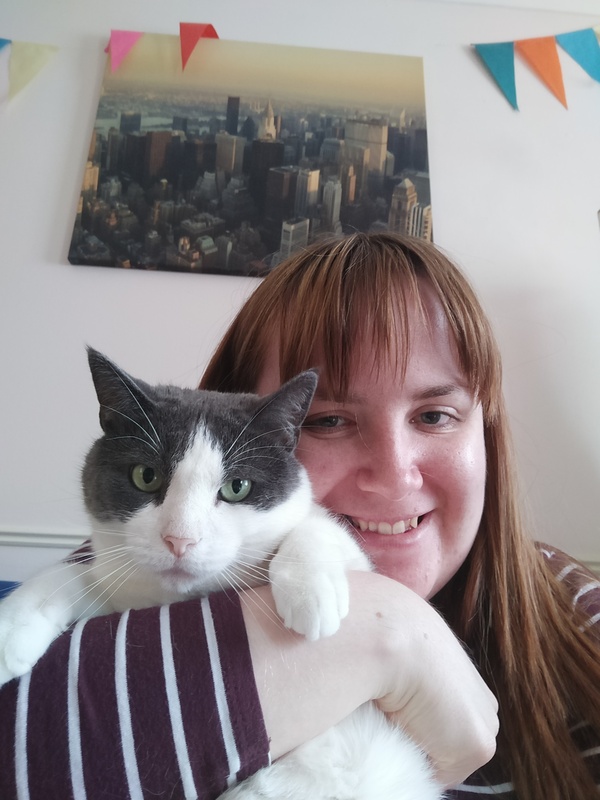 Thank you so much in taking the time to read my blog post, I hope you enjoyed it. 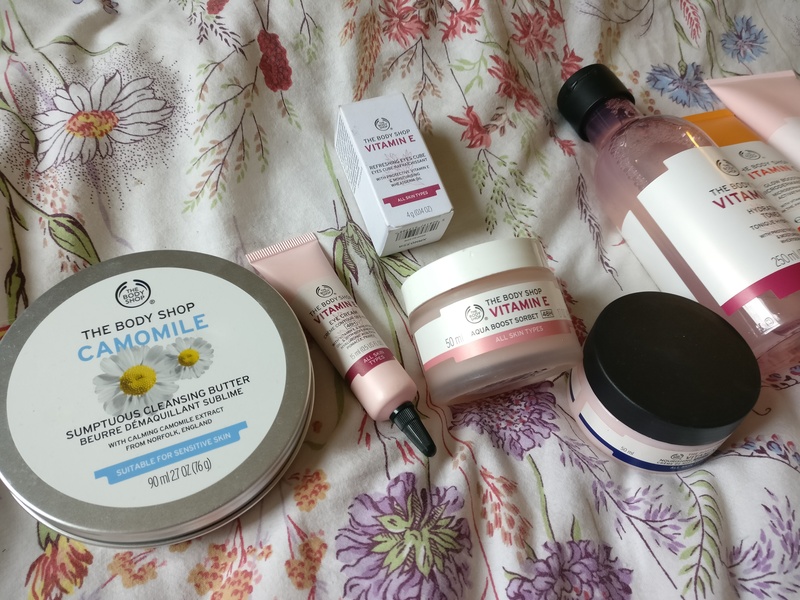 So.. this month I purchased a whole new skincare range from The Body Shop… I was having some problems with my skin (excess oil and break out, which I don’t normally get) that I put down to the skin care I was using.. as I was walking to Boots I stopped at The Body Shop’s window and thought I’d give them a try instead! So I’ve been using their products for almost three weeks and I LOVE them! My favourites have to be The Cleansing Butter and The Refreshing Eyes Cube these two are just amazing!! The cleansing butter literally melts away your makeup, including eye makeup! (Be gentle!!) And the refreshing eye cube is perfect to give you a bit of a wake up call in the mornings.. it’s cooling and refreshing under the eyes with a hint of pigment to make your eyes seem a little brighter! 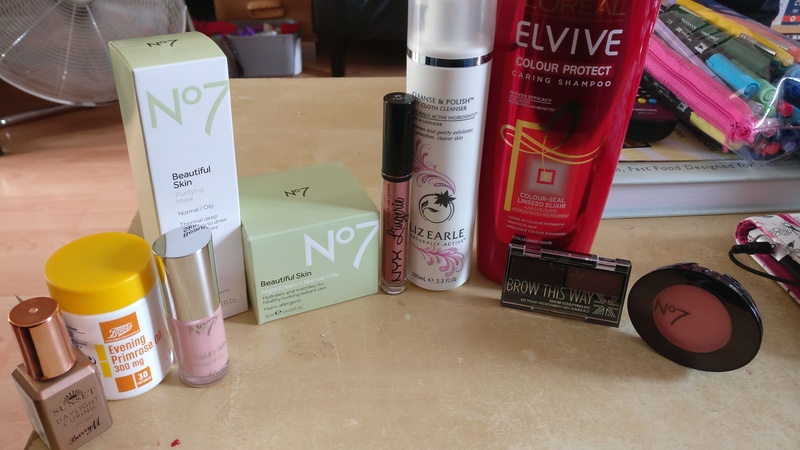 I would highly recommend all these products I have purchased and used as they are so GREAT! The Vitamin C Microdermabrasion Exfoliator is amazing too and leaves your skin feeling amazingly soft.. and finally the Vitamin E range is perfect to suit all skin types.. the day moisturiser which is called Sorbet gives your skin a matte appearance but still feels moisturising..
I’ve had probs for a while now where I have big gaps in my eye lashes… So when I put Mascara on they just look weird and you can really notice the gap (I’ve been told it’s a family trait!) 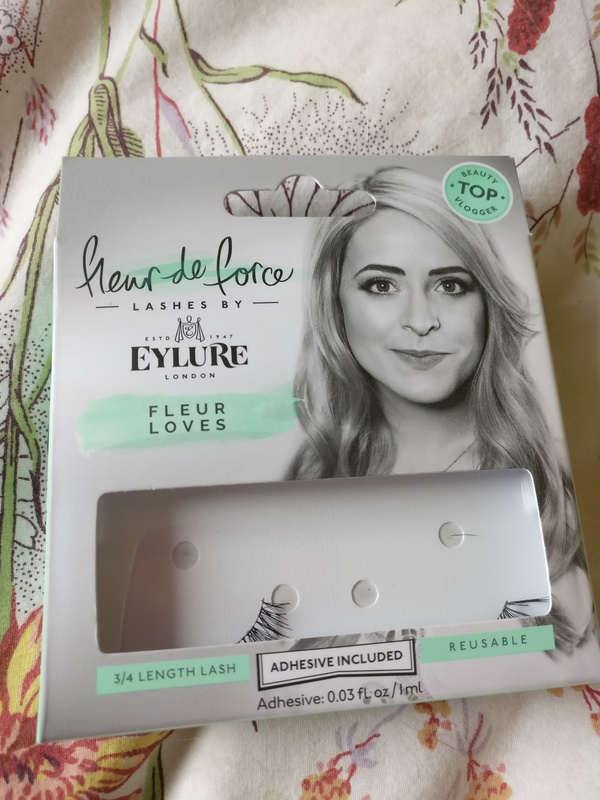 So I wanted to get some False strip lashes… My sister raved about Fleur’s Lashses (Fleur Loves) so I decided to pick myself up some too.. The great thing about these lashes is that they are 3/4 Length so you don’t have to cut them down!! Also on application they are so easy!! I wear them every day and people have said to me that they look really natural and pretty, which is lovely to hear.. 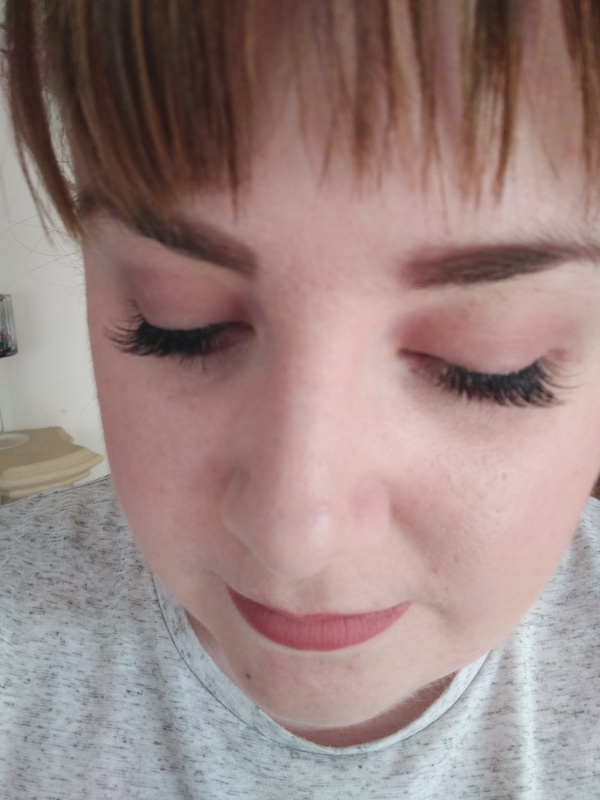 I was a little self conscious about my own eyelashes, however now I can wear these with pride and I don’t even use Mascara! They fab! 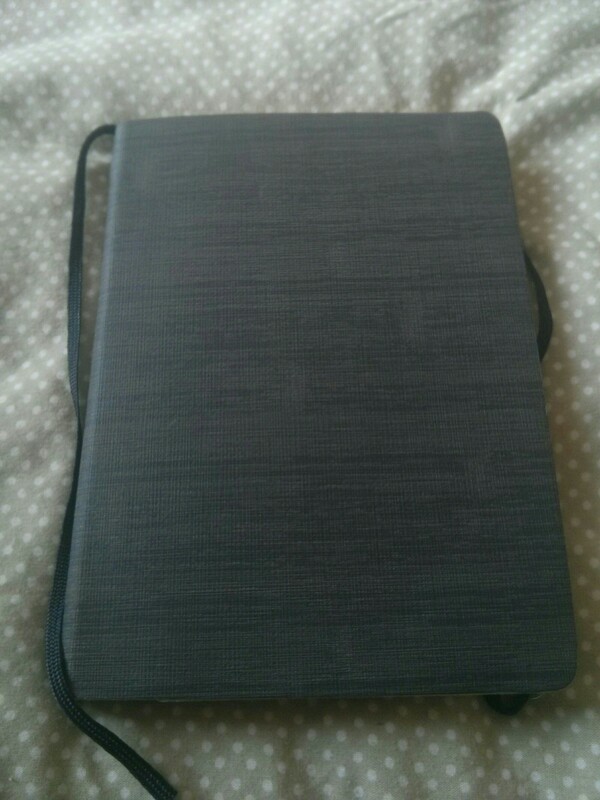 For my birthday this year, my amazing boyfriend bought me a new Bullet Journal.. this one was a Leuchtturm 1917 fuchsia pink colour and I LOVE it!! 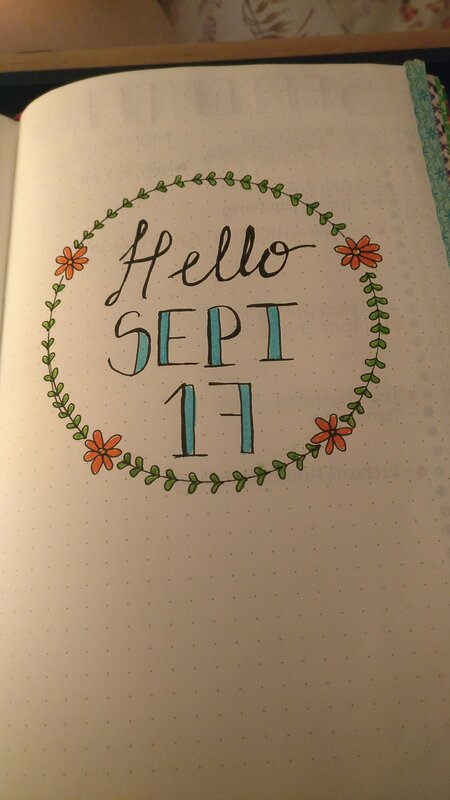 I love how the pages are already numbered too! 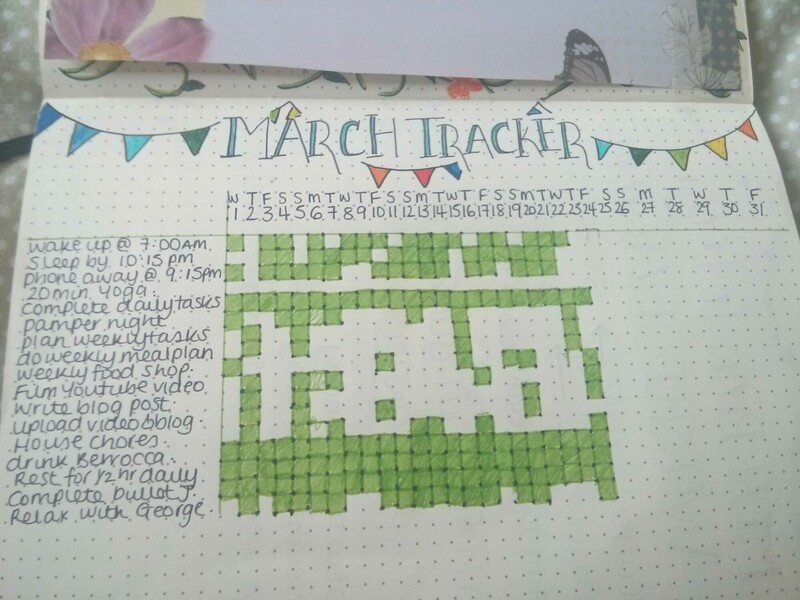 I won’t talk too much about it because you all know how much I love bullet journalling and hows it’s helped me. 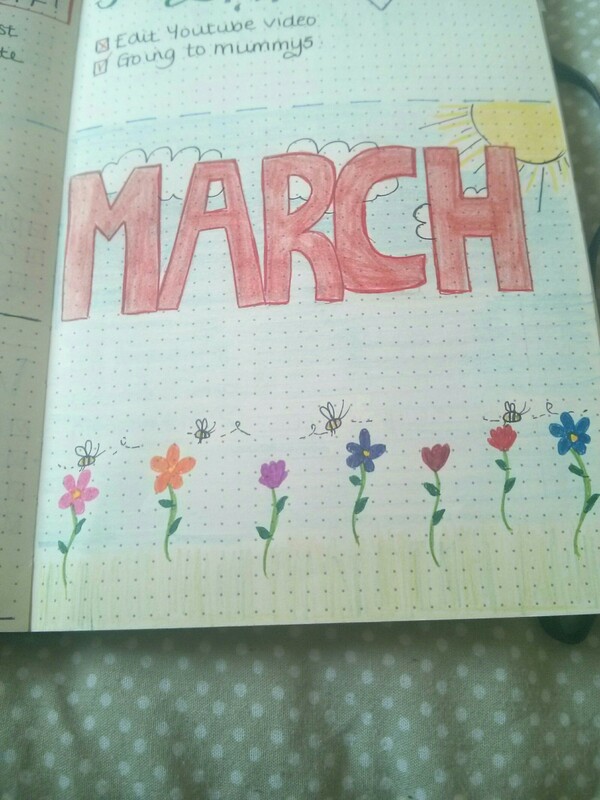 I have got some new colouring pens however, which I love too.. They are the PaperMate Flair Felt tips, TomBow ABT 623 Pens and Staedtler Triplus Colour Pens. 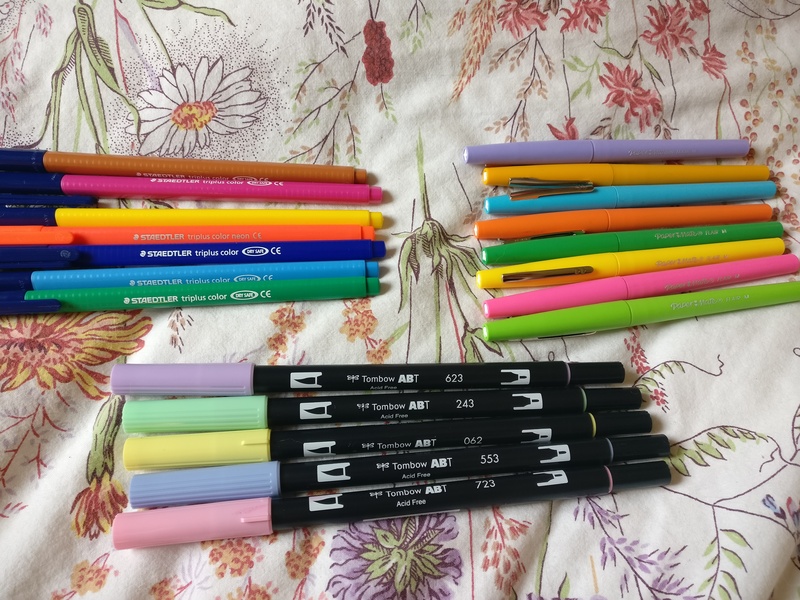 I really love the different colours and styles of these pens.. and they don’t bleed in the pages too.. although the I’m now not allowed to buy anymore as I have far too many now lol! 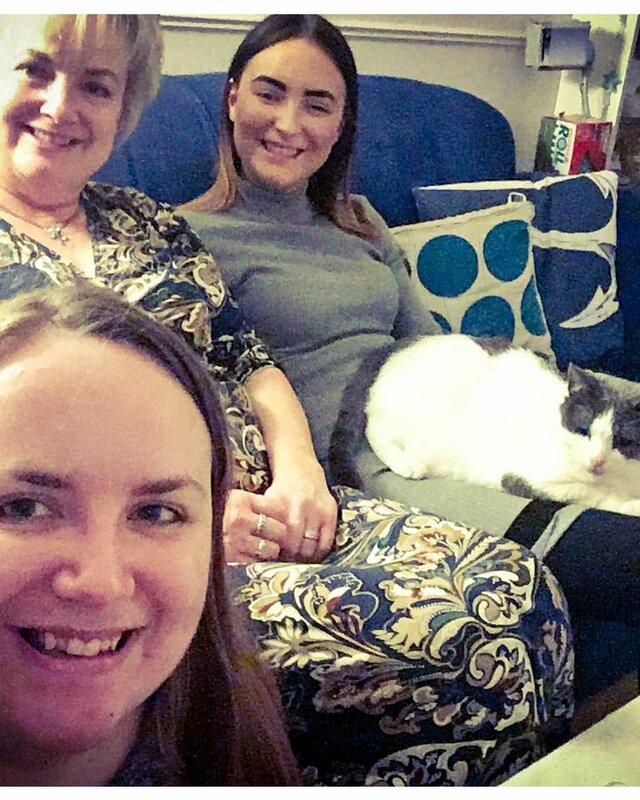 For a while now I’ve wanted to set up a group of some discription for young people living with Multiple Sclerosis.. being diagnosed at 24 I felt quite alone and almost out-casted because I couldn’t do the normal things a 24 year old could do… Even though my true friends were and are amazing.. 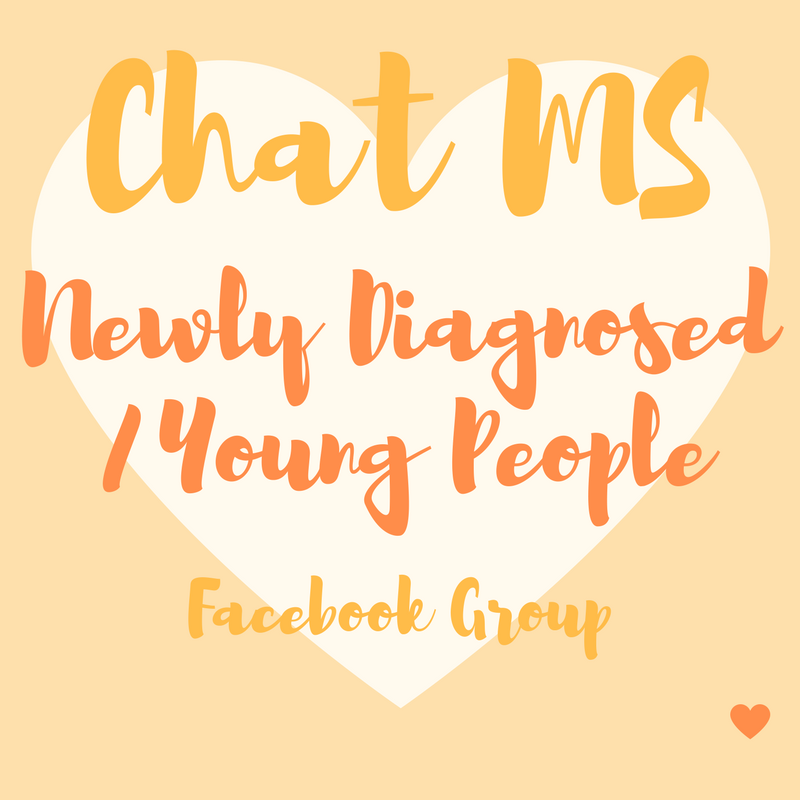 I just wished I had someone to talk to who really understood what I was going through.. this is when I decided to create the Facebook group “Chat MS – Newly Diagnosed/Young People” a lovely fellow blogger Natalie from http://www.survivinglifeshurdles.co.uk has and is helping me to make our group grow and I absolutely love it! We have around 13 members are the moment.. but will welcome more with open arms.. this is something I feel very passionately about and I’d love to be there for younger people living with this chronic illness. 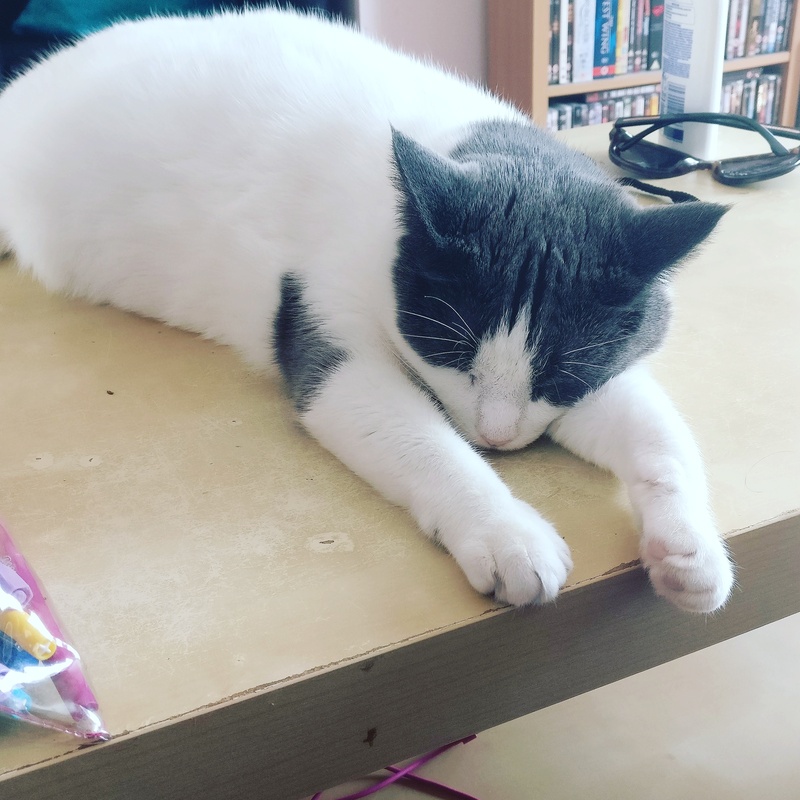 And that my lovely lot is the end of my May Favourites 😊 it’s only been a short blog because I’ve been so busy throughout May that it’s been difficult to note down everything I’ve been oving.. however the things I have mentioned are genuine favourites and this blog post is in no way sponsored. Hello everyone 😊 how are you all? 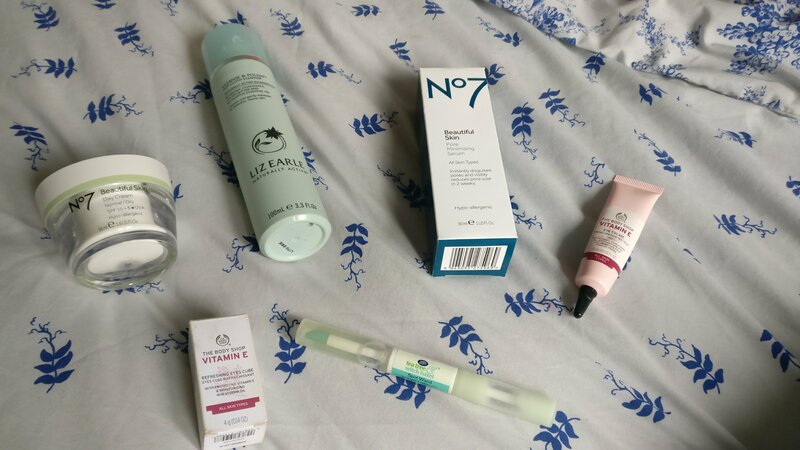 In a previous post, I mentioned that I’m trying to go “Cruelty Free” with my skincare and makeup… I’m slowly but surely doing this. I was very excited to try this as I had heard so much about it. I did start using almost immediately and then for some strange reason I stopped.. it was the beginning of this month that i went back to it and wondered why I had ever stopped!! I LOVE it!! The delicious “Orangey” scent and how it’s so light, yet Moisturising! I use it morning and night and have seen lovely improvements with my skin since.. if you’re looking for a nice, lightweight yet moisturising moisturiser lol.. then this is the one for you.. it is however in the high-end range so best to save up for it and have it as a treat. This is the other product that i got in the gift set last year.. and again I stopped using it then came back to it end of last month and have been using it ever since.. it’s such a lovely product with I’d say a “velvet” feel to it when applied. This is the main and newest item out of the range that I have been loving this month!! I had a sample of it at the beginning of the month as the consultant said it would help with any breakouts and my oily T-zone… She was 100% right and I have been using it 1-2 times a weeks and have definitely noticed a difference!! 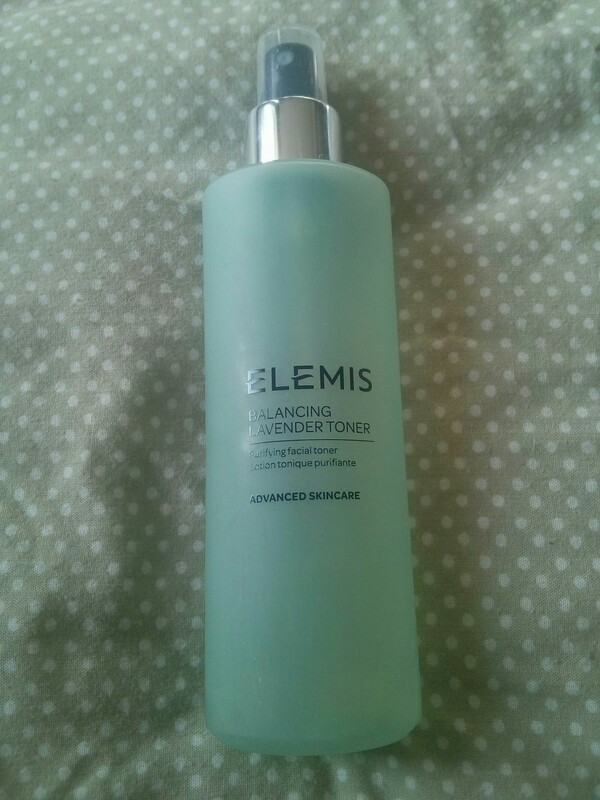 It has a month scent and leaves your skin feeling fresh and a little tight.. but not too bad. 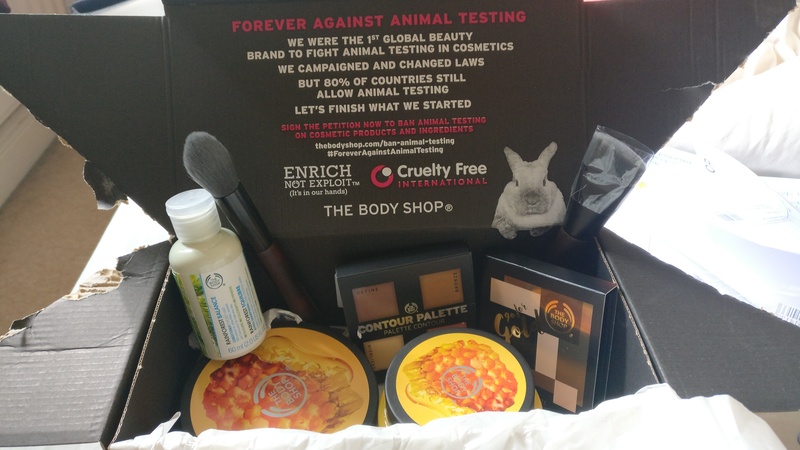 Now I know before you all say.. Lorreal isn’t “Cruelty Free” I purchased this at the begining of the month as I needed all three products at the best value for money, which this was. 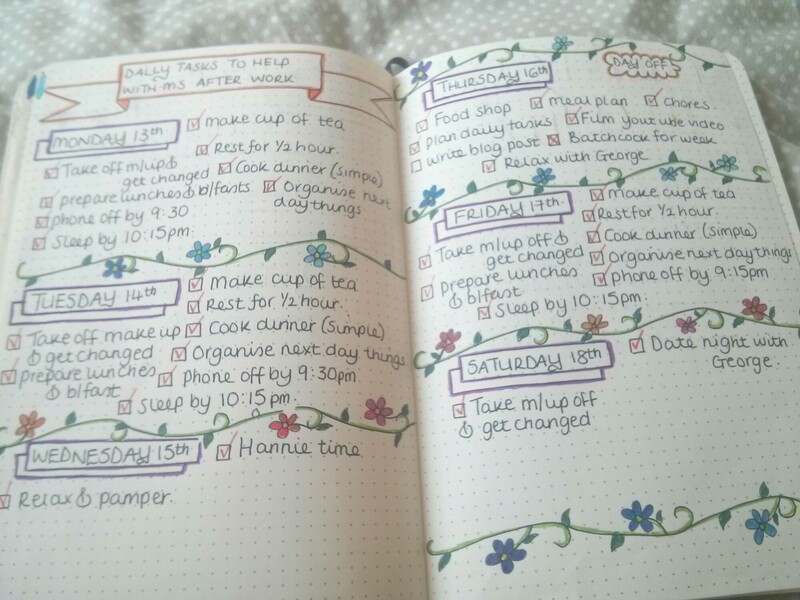 Now most of you all know how much I LOVE my Bullet Journal… It helps me with everything!! 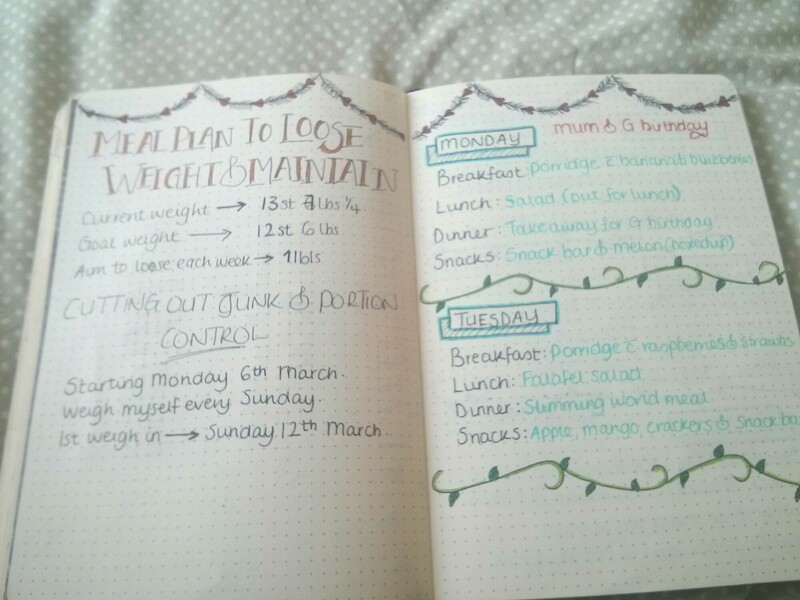 Staying positive, MS, planning and food.. 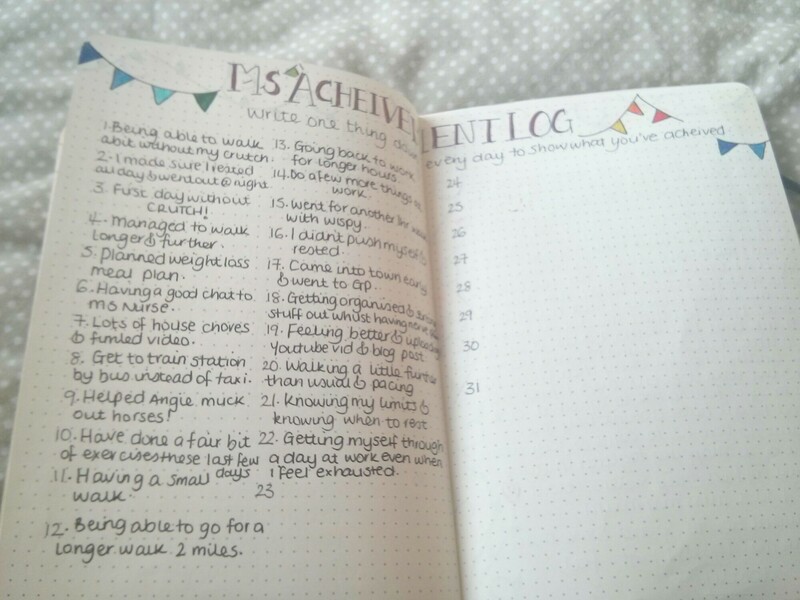 I have seriously noticed my stress levels have dramatically reduced since writing things and planning things in my journal… It just keeps me on track and i just LOVE “Ticking” things off once they’re completed!! 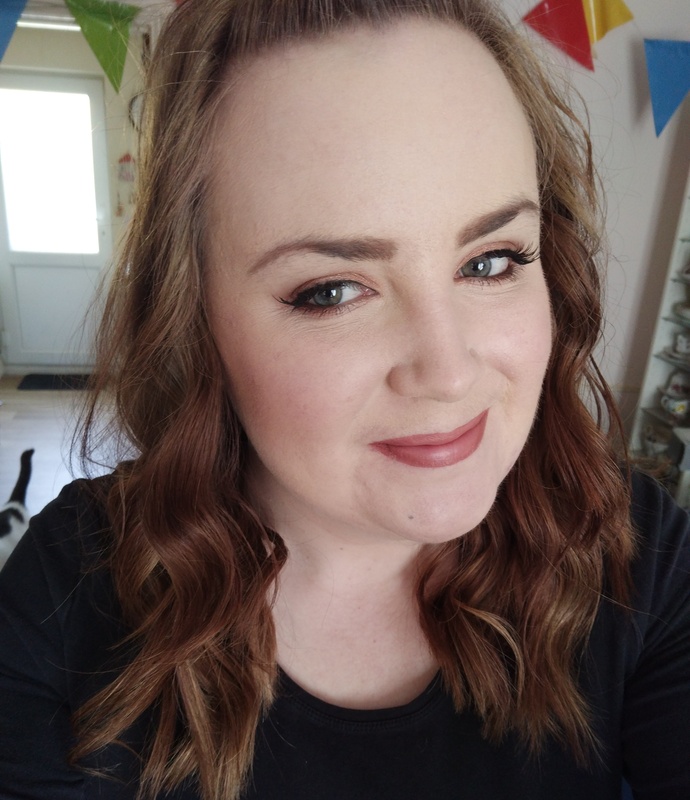 And the rest of my Monthly Favorites you’ll have to check out over on my YouTube channel if you’re interested to see what else I talk about… I hope you enjoyed this post and if it’s given anyone any ideas for beauty then I’d love to hear from you? Once again thank you for reading.. i hope you all have had a great weekend.